'Mad Men' Returns, Cocky And Confident As Ever The AMC series Mad Men — winner of the Best Drama Series Emmy for each of its four seasons to date — returns March 25 after a 17-month hiatus. TV critic David Bianculli determines whether it was worth the wait? 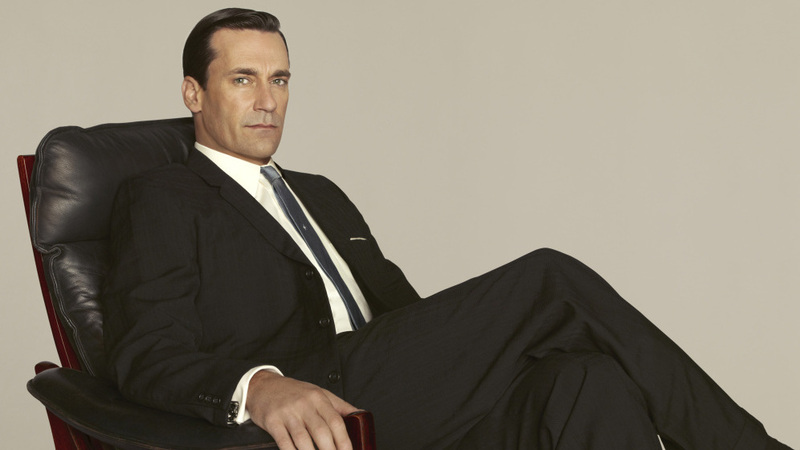 Don Draper, played by Jon Hamm, celebrates his 40th birthday in the fifth season of Mad Men. Yes, it was worth the wait. Absolutely. 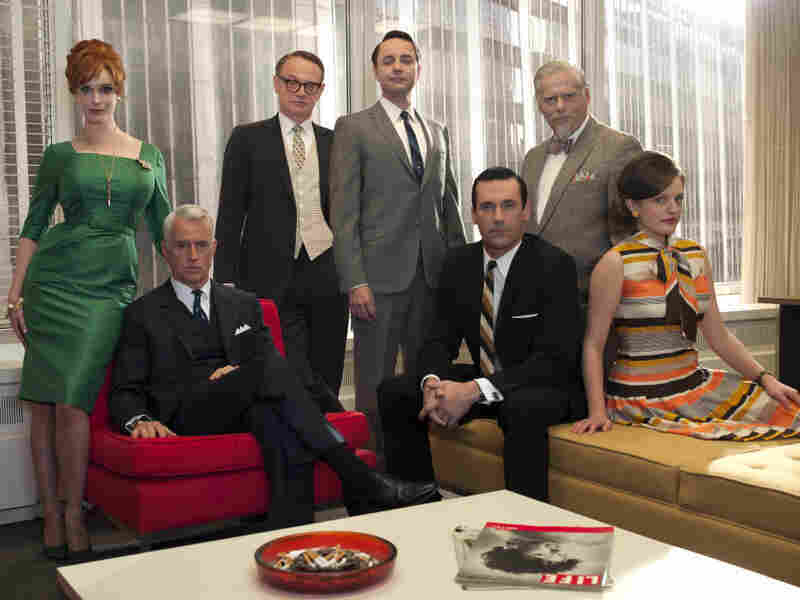 Mad Men returns Sunday with a two-hour season premiere — and by the time it's over, if you react the way I did, you'll be satisfied and even comforted to have spent two wonderful hours with the folks at Sterling Cooper Draper Pryce. Series creator Matthew Weiner has created something magical with Mad Men, and that spell continues in Season Five. This show has a pace and feel all its own, and the writers, actors and directors all attack with the cocky confidence of Jon Hamm's Don Draper entering a conference room to woo a new client. These characters have been delineated so richly over the years that spending time with them this season is not only a pleasure — it's a constant series of small but revealing discoveries. When Elisabeth Moss, as Peggy, snaps at Don after she has a bit too much to drink, it's underplayed — but it's obviously a bold move that results in a series of aftershocks. So is the power play by Vincent Kartheiser's Pete, who's bringing in more clients than many others in the office — and doesn't want that fact to go unnoticed, or unrewarded. Secrecy and mystery are big parts of Mad Men, especially between seasons, so there's no point in getting specific here. Yes, as usual, the new season begins some time after the previous season ended, allowing the plot to jump ahead a bit — but I won't say how long. The staff of Sterling Cooper Draper Pryce returns to TV with what David Bianculli calls "a cocky confidence." Nor will I say what most Mad Men fans seem to want to know: Did Don really marry Megan, the secretary to whom he proposed, impulsively and quite shockingly, in the fourth-season finale? And if you remember that proposal, you really are a fan, because that was televised way back in 2010. All I'll say is that Megan is still a part of Don's life, and they appear, at first, to be getting along quite well. That's true at work, where Don, played by Jon Hamm, takes the opportunity to ditch Pete Campbell and meet with Megan, played by Jessica Paré, in his office behind closed doors. Megan and Don also appear to be getting along outside of work, but appearances can be deceiving. Don may be calm and carefree on the surface, but he's always churning underneath. Season Five begins with him facing his 40th birthday — and a surprise party at which Megan, as a special gift, joins the band that's been hired for the party, grabs a microphone, and sings a pretentious little song while giving him the 1960s equivalent of a lap dance. Because it's Don Draper, it's impossible to register his true reaction — but it'll come out sooner or later. The opening hours of Mad Men, this season, are about office politics and personal relationships. But the world that's percolating outside, at this point in the '60s, can't be held at bay for long. And it isn't. Mad Men is a show devoted to its era, and determined to strip away any undeserved nostalgia — so race, war and drugs all come into play. But Mad Men is also about our times, and about the timeless ebb and flow of intimate relationships, professional status and secret yearnings. Mad Men, even after such a long hibernation, is a show for all seasons. It's great to have it back — and it's as great as ever.